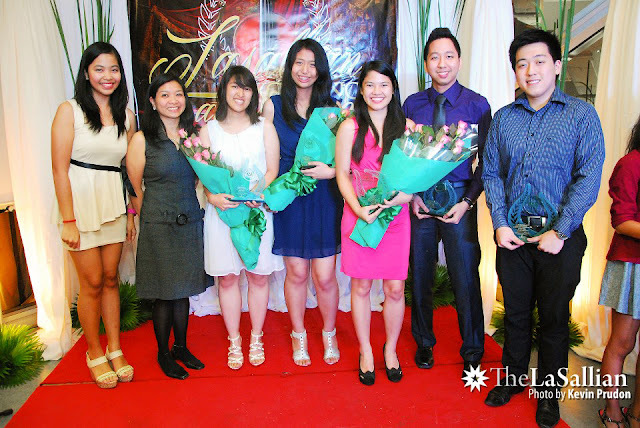 Last 4th of April 2013, the Lasallian Excellence Awards (LEA) Night was held in The Venue of Prism Tower as culminating event for the Search for the 28th Outstanding Young Man, Harvest of Winners and Search for the Outstanding Teacher. And it was an honor for me to be part of the night, much more being part of the search. In this blog post, I'm going to share with you my journey, realizations and lessons that I've learned over the past years of my stay in my second home, my alma matter, De La Salle University. Last term (2nd Term A.Y. 2012-2013), I accidentally saw a booth in the Yuchengco Lobby with a sign "28th Search for The Outstanding Co-Ed, The Outstanding Young Man" while I was looking for the Harvest of Winners Booth. To tell you the truth, it was just the Harvest of Winners that I intended to submit a form to. Hence, when I saw the booth, I got curious, and decided to try that as well. At first, I was a little hesitant because their definition of outstanding may not be in line with how I see myself. But, regardless, I said to myself that I was outstanding in my own ways, so I would give it a try. We had an interview during the same term for the first screening and after a couple of weeks, the results came out. Luckily I made it in the Top 10. By the way, I want to grab this perfect opportunity to thank all the people who supported me in this search, especially those who helped me getting some likes and those who really believed in me. I can't thank you enough. You are so awesome! Afterwards, we were grouped into 2 with 5 members each. 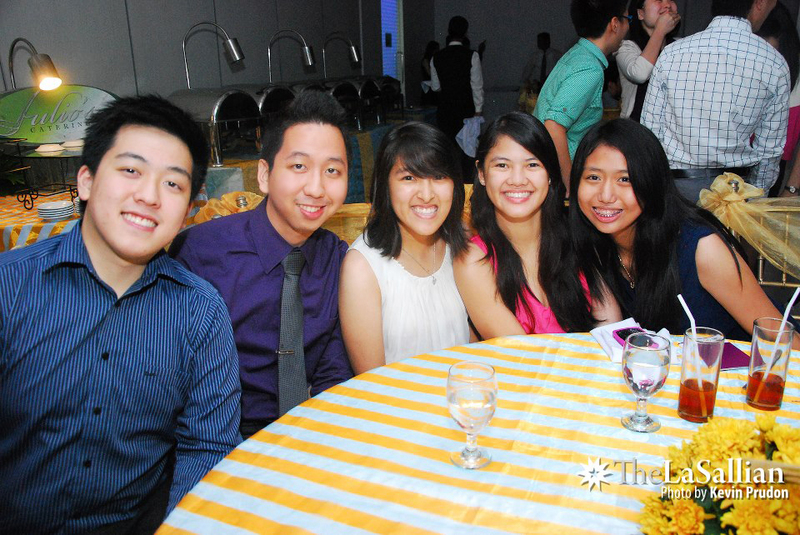 Troy, Cassie, Hanna, Jacq and I were chosen to be part of group A. And that's when I met some new awesome friends (i.e. Hanna and Jacq)! 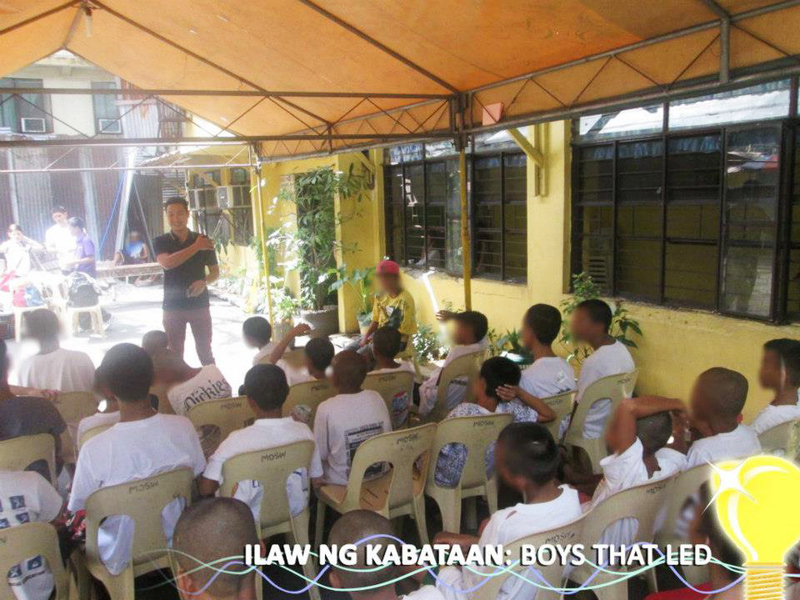 We were tasked to organize a socio-civic activity, and so we came up with Ilaw ng Kabataan: Boys that LED for the kids in Manila Youth Reception and Action Center (MYRAC). And this activity was held last February 16, 2013, which thankfully went on very smoothly. To give you a brief background, this activity is a one day interaction with the boys of MYRAC wherein the group would tap three aspects: skills, motivation and spirituality. These three things would be addressed through some inspirational talks, a first aid tutorial session and a mini-LED lights project making competition lead by our group. After a month, we received some great news - our group was chosen to proceed with the search! And so, we all became part of the Top 5! Hooray! And of course, we were all so happy during those times! But you know what the best part was? Well, we didn't see this search as a "competition" among us because what we saw was the friendship we built together. Okay, without further ado, the winner of the search was my good friend TJ Palanca! Search is Over: Troy Palaca as the 28th Outstanding Young Man! To be honest, I was hoping to be selected as the winner (because who wouldn't right?). But, the outcome was really so easy to accept because each of us really did our best in this search. And, I knew Troy for about 4 years now, since we are block mates. And I believe that he is really FIT to be deemed as the Outstanding Young Man. Proud block mate here, Troy! While I was staring at the plaque of appreciation I received, I started to realize something which made me smile (it was really blissful deep inside). So, to preserve the moment, I decided to take a snapshot of it using Troy's phone. What was inside my mind that made the moment blissful? If you would see me 4 years ago, you may not really see me as someone who will come this far. I was partly introvert those times, and I was just moving within my comfort zone. And I was lucky enough to be exposed in a series of events that made me realize that I can do much more. 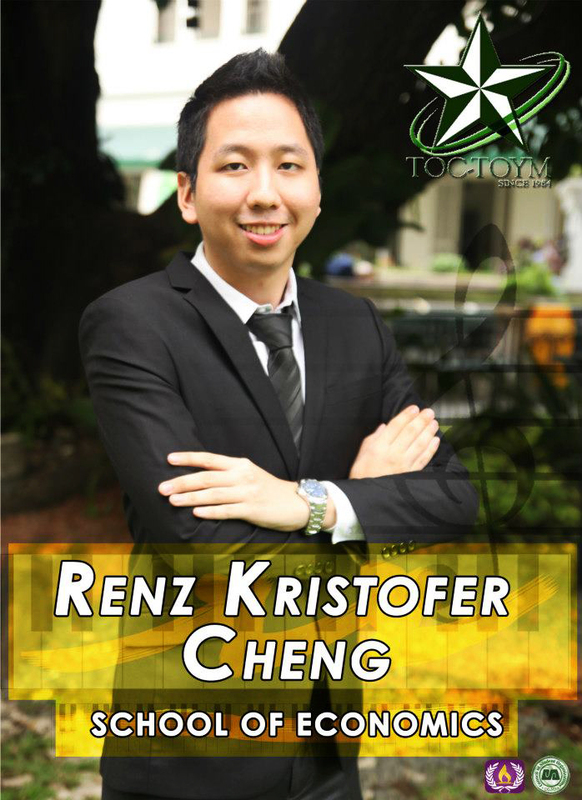 Wonders started to happen after I ran for the Student Government General Elections 2 years ago. It created opportunity one after the other, and I humbly accepted them. It took me a lot of courage to accept the challenge of running as the batch Legislative Assembly Representative since it was really beyond my comfort zone. But, something within me wanted to do it, and I started to slowly listen to that voice. Until one day, I finally gave my affirmation. Running was a learning journey, and losing was even more. It propelled me to further find ways to excel, despite the waves coming in. Through the help of the one Above, I was blessed to still serve the student body by being part of the executive team of the Office of the Vice President for Internal Affairs. That moment, I realized that when you really want to pursue something great, God will find a way to make it happen. This is because He was just WAITING for you to make the first move. And during those times, I realized that what Stephen Covey was right, "The doors of change can only be opened from the inside". Being a finalist for the Outstanding Young Man doesn't mean that I should just stop there. Yes, it was somehow an "end" since it was a fruit of sowed efforts and vision. But remember that each fruit contains seeds as well (unless they are GMOs, of course) that need to be sown back again. 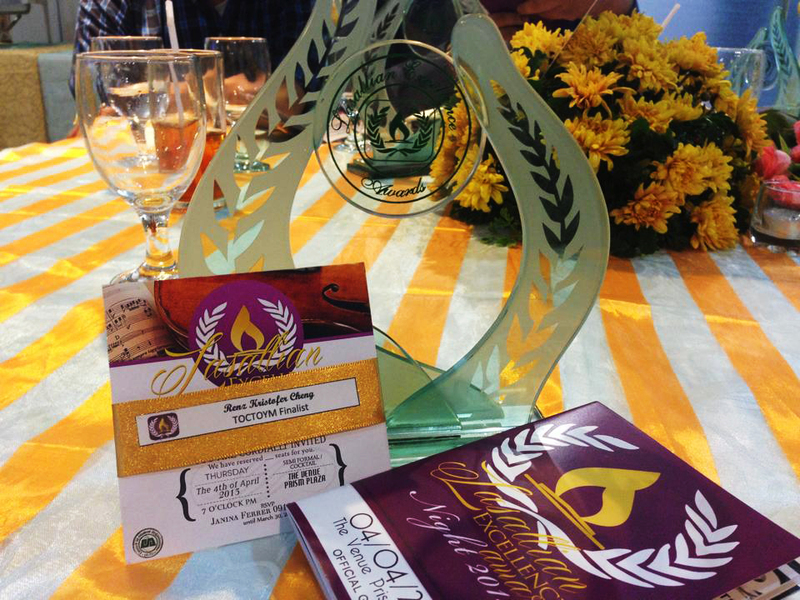 This is why this "award" reminded me that I should strive to find and grab more opportunities to excel and to serve. Hence, this LEA night was not just a night of appreciation. It was also a night that started a new mission. And I can't wait to go get some new adventures! PS: In case you are asking why I blogged about this. Well, I'm writing this to immortalize a memory of a new beginning, and to inspire not only you but myself as well. Let's all strive to be outstanding in our own perfect ways! 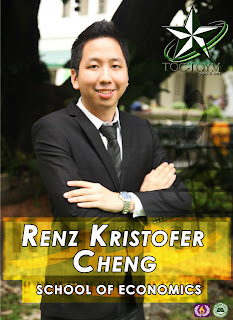 Good job Kuya Renz! :D Such an inspiration!! !